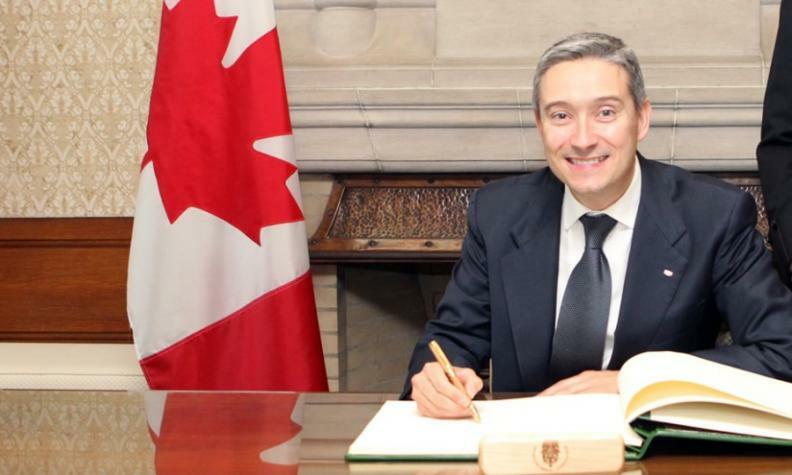 Francois-Philippe Champagne defended the 23-year-old trade deal between the United States, Canada and Mexico. VANCOUVER - Canada's international trade minister is urging calm in response to renewed threats from Donald Trump to tear up the North American Free Trade Agreement, which the U.S. president described Sunday as the "worst trade deal ever made." Francois-Philippe Champagne defended the 23-year-old pact between the United States, Canada and Mexico as one of the most fruitful trading relationships in the history of mankind. "We just have to make sure we don't react to every news, comment, remarks," Champagne told members of the Vancouver business community at a B.C. Chamber of Commerce luncheon. "Because at the end, every time I sit down with them and my counterpart [U.S. Trade Representative] Robert Lighthizer, I look at numbers. I don't look at the comments. I look at the numbers. And the numbers speak for themselves." Negotiations around NAFTA began earlier this month, and a second round of talks is scheduled to begin at the end of the week. Trump took aim at Canada over the weekend in a tweet that said both Mexico and Canada were "being very difficult." Champagne said there is nothing worrisome about the push to modernize NAFTA, which has happened 12 times since the deal came into effect in the 1990s. "We want a chapter on the environment. We want a chapter on labour. We want a chapter on gender equality," he said. "It's 2017, so it's about time we used these trade agreements to promote the best standards around the world and make sure trade is fair and balanced." The American and Canadian economies are highly integrated, he said, with about $2 billion in goods and services crossing the border every day, along with 400,000 people. During his speech, Champagne also lauded the Comprehensive Economic and Trade Agreement between Canada and the European Union, which he said would slash more than 98 per cent of transatlantic tariffs when the deal comes into effect on Sept. 22. "Canada will become the only country that is not located physically in Europe to have the greatest market access in Europe ever," Champagne said. The deal will give Canadian business access to 510 million consumers in Europe, as well as $3.3 trillion in public procurement.